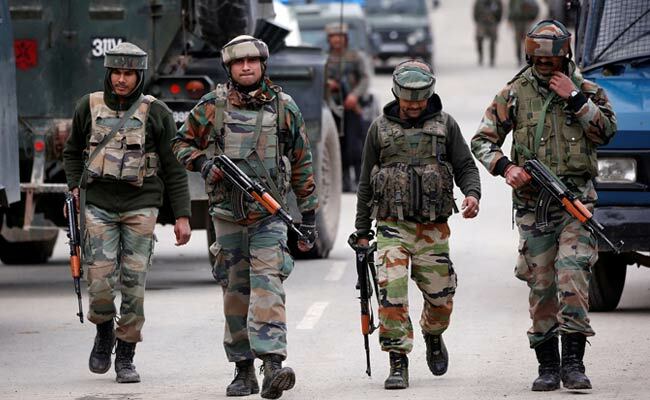 A Sub-Divisional Magistrate in Jammu and Kashmir's Anantnag district had alleged that army soldiers manhandled him and four other state government employees who were on duty with him. A case was filed against Army soldiers today for thrashing a government official in Jammu and Kashmir's Anantnag district. Dooru Sub-Divisional Magistrate (SDM) Ghulam Rasool Wani had alleged that army soldiers manhandled him and four other state government employees who were on duty with him. The soldiers were charged under sections of Ranbir Penal Code (RPC) for voluntarily causing hurt and wrongful restrain at the Qazigund police station. The government employees detailed on election duty in Anantnag for April 23 poll announced that they would boycott duties unless an FIR was registered against the soldiers involved in the incident.